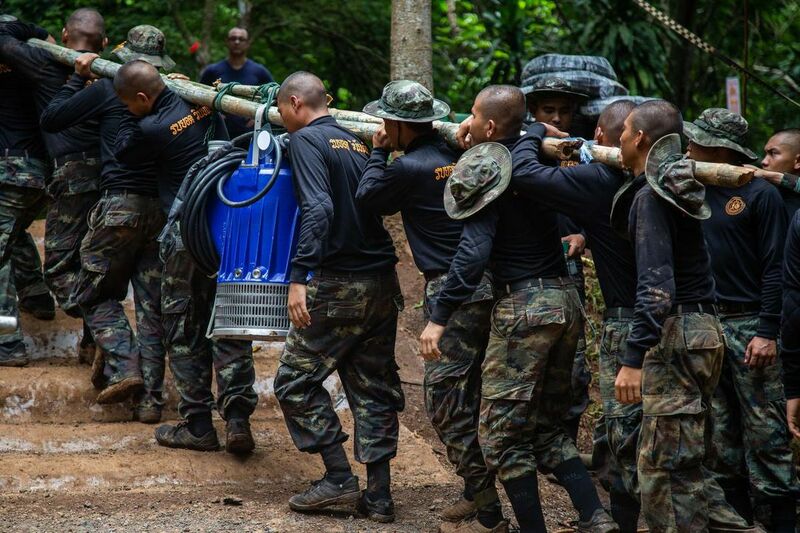 MAE SAI, THAILAND—The rescuers trying to help a youth soccer team stranded in a Thai cave suffered a disheartening loss Friday with the death of a former SEAL diving in the flooded passageways to deliver supplies, as authorities raced against worsening weather and lessening oxygen where the 12 boys and their coach have been trapped for two weeks. Oxygen levels are decreasing because of the number of workers inside the cave and workers were trying to run an oxygen line into the chambers in addition to the oxygen canisters used by divers, Chiang Rai province Gov. Narongsak Osatanakorn had said late Thursday. 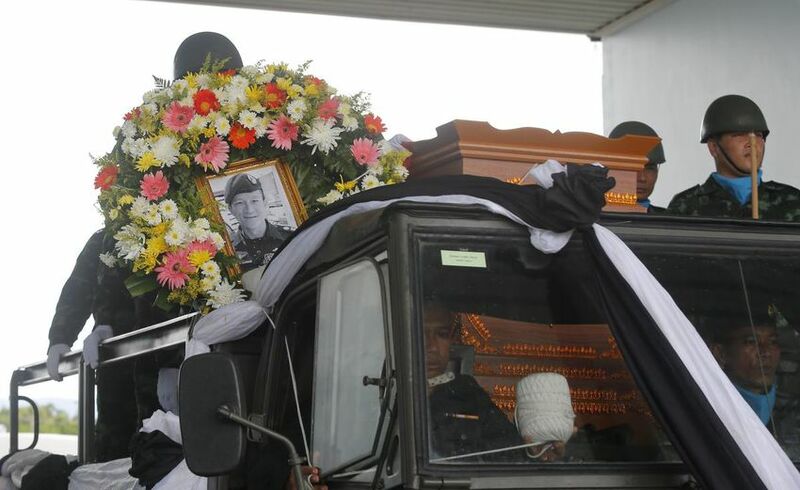 “Despite this, we will continue until we accomplish our mission,” Arpakorn said. The governor has said the 13 may not be extracted at the same time, depending on their condition. They boys are weak but for the most part physically healthy. They’ve practiced wearing diving masks and breathing, in preparation for the diving possibility. Cave rescue experts have said it could be safest to simply supply the boys where they are, and wait for the flooding to subside. That could take months, however, given that Thailand’s rainy season typically lasts through October. And without proper oxygen levels, staying put could also prove deadly. The dramatic rescue efforts have garnered international attention, perhaps most notably at soccer’s most widely watched event, the World Cup, being played in Russia. A diver who spent time with the boys said earlier the youngsters wanted to know the results of the matches. Players from teams including England and Sweden have recorded good luck video messages for the trapped boys, and FIFA has invited the 13 to the World Cup final should they be rescued in time and are healthy enough to travel.